When a recipe calls for an ingredient that’s not too heavy, but not too light, try half and half. It’s why we always have at least one pint in our fridge. 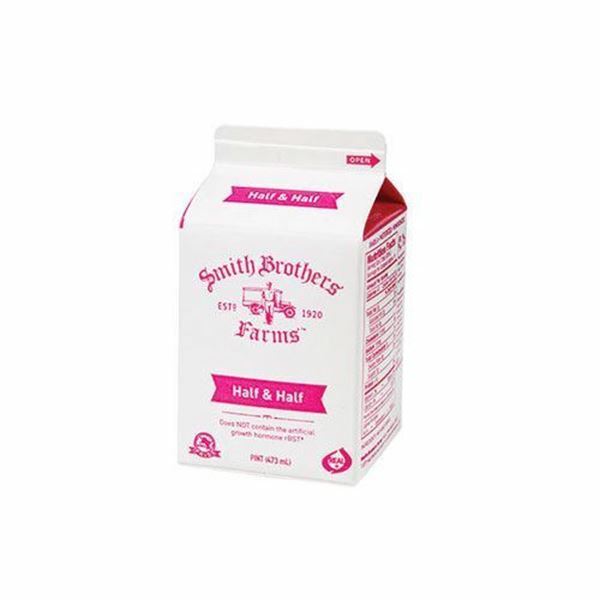 Whether you use it as creamy complement to coffee or for a richness when baking, you can’t go wrong with Smith Brothers Farms Half and Half. Our milk is rBST-free and gently pasteurized, which ensures that farm-fresh flavor our milk famous for. I use this daily for coffee, and for cooking when I'm out of heavy cream. No thickeners, no weird preservatives or artificial anything. The Half & Half is delicious and, I know this is probably really bad, but I use it WAY past the date stamp. It lasts for weeks, not at all like the stuff in the grocery store. I'm the only one in the house who uses it in coffee but because it lasts so long I don't need to buy very often, making it very economical. Thanks Smith Brothers! We use this daily for coffee and darn near same use for our cat. He LOVEs it!